New York Times bestselling writer Kurt Busiek (ASTRO CITY, MARVELS) and rising-star artist Benjamin Dewey (I WAS THE CAT, TRAGEDY SERIES) will launch the second story arc of the high-fantasy epic THE AUTUMNLANDS in November. Previously in THE AUTUMNLANDS, a secret enclave of wizards reached into their forgotten past to bring back a legendary hero to save their dying lands. But instead of the savior they’d hoped for, they got a completely unexpected kind of hero. 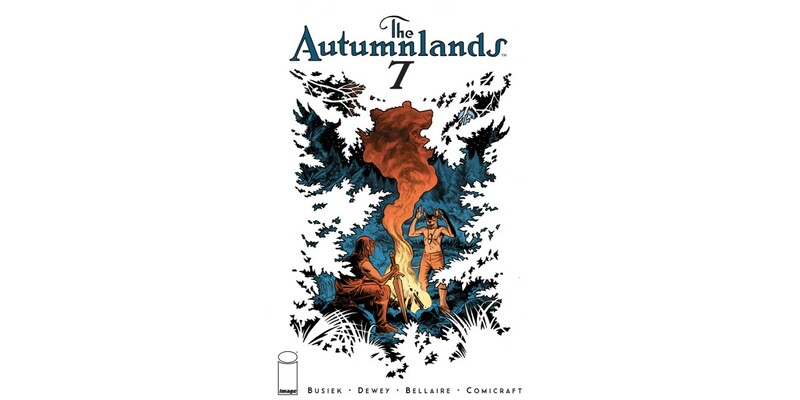 In THE AUTUMNLANDS #7, our lost and wounded heroes seek safety, but instead find something...bizarre. THE AUTUMNLANDS #7 (Diamond Code SEP150520) hits stores Wednesday, November 11th. Final order cutoff deadline for retailers is Monday, October 19th.